One of the great strengths of American higher education is the ease with which students can transfer from one college or university to another. For example, it is not unusual for a student from California to transfer to a Michigan school, or for someone attending a small private college to transfer to a large, comprehensive public university. Students who attend a community college to complete lower division general education requirements can transfer to a university. There, they can take upper division courses and thereby complete a bachelor’s degree. Such an approach is commonly known as “2 + 2,” though it may take more than four years to complete all of the courses required for a bachelor’s degree. Transferring to, or from, institutions that are not regionally accredited is not recommended. If a student attends a school that lacks regional accreditation, there is a risk that the courses completed will not transfer to an accredited institution. Many colleges and universities have special arrangements known as “articulation agreements” with other institutions. Generally speaking, such agreements allow “seamless” transfer with little or no loss of credit and time. For example, an engineering student may study for three years at the undergraduate level at one college, then transfer to another college for two more years. 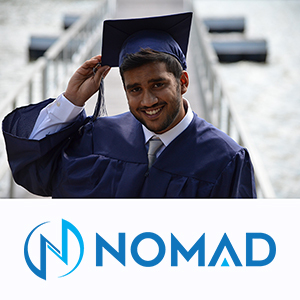 The student can receive both a bachelor’s and master’s degree at the end of the five-year program of study. Sometimes such arrangements are known as a “3+2” programs since they are designed to be completed in a total of five years. Community colleges often have articulation agreements with four-year colleges and universities. The 10 Maricopa Community Colleges in the metropolitan area of Phoenix, Arizona, work very closely with the University of Arizona, Arizona State University and Northern Arizona University to make sure that Maricopa's courses will transfer. All the 115 California community colleges have articulation agreements with the California State University system and the University of California system. This means that if a student successfully completes the general education requirements for California State University or the University of California at Santa Monica College, for example, he or she can transfer and complete the last two years for the bachelor's degree. Don't allow some of the drawbacks of transferring deter you. 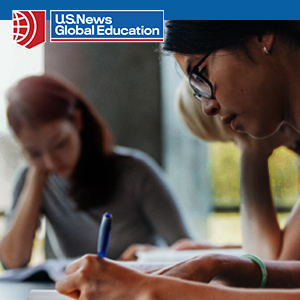 If you plan ahead, a transfer can be an excellent way to accomplish your educational goals and enrich your experience with American higher education. Just as shifting gears in a car is a way to get more speed and power from the engine, transferring from one college or university to another can propel you to greater accomplishments. Start planning early. If you know you are going to transfer at some point in your college studies you need to prepare for the transfer well in advance by getting accurate information and by informing your advisor. There are usually a maximum number of credits you can transfer towards a degree at a U.S. university or college. You should find out what that limit is well before transferring. Some colleges and universities offer special freshman or college English language classes for students whose native language is not English. These special ESL classes may be accepted for transfer or they may not. Find out before you transfer. Credits transfer; grades do not. There is usually a requirement to have a certain minimum grade point average (GPA) in order to transfer; however, the GPA earned at one institution does not affect the GPA at another. American universities and colleges usually have general education requirements. A course that is required at one institution may not be required at another. Such courses might transfer, but the credit earned is not necessarily going to apply to degree requirements. Finally and most important, always consult with an academic advisor and your international student advisor before undertaking a transfer. In addition to the transfer of credits, as an international student, you also have to transfer your immigration status as a student to the new school. "At first, I really didn’t get that you could start your first two years at a community college and finish your next two years at a university. But many students do this." 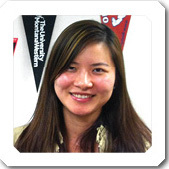 Director of the International Students Program at Glendale Community College in Glendale, Arizona. 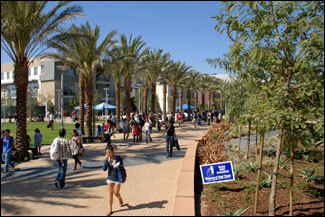 Glendale is one of the Maricopa Community Colleges.